Well, look at this. 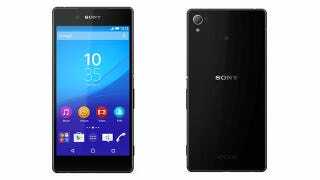 Sony just revealed a new flagship smartphone. The new Xperia Z4 comes with spec bumps in both the processor and camera department, all wrapped in “haven’t I seen this before” design. It’s a modest flagship update at best, providing little improvement over last year’s Z3. Sony’s press site (Google Translate) seems more focused on the Z4’s new imaging capabilities than anything else and packs in an improved front-facing sensor with image stabilization, so that Sony can firmly join the ranks of the continuously growing selfie bandwagon. The Z4 also adds new camera software like “cooking mode” that makes taking shots of food more appetizing. The Z4 does have a metal frame this time around a slightly thinner profile, shaving off about 0.4mm from its predecessor, but that could be at the expense of battery life since Sony also chopped off about 170mAh. Luckily, Xperia phones have always been minor miracles when it comes to battery life, so hopefully the decrease in capacity won’t hurt too much. Update: Phone Arena reports that this Z4 may be a Japanese-only model and the rest of the world will see a different smartphone by the end of May. Well, now I’m listening.